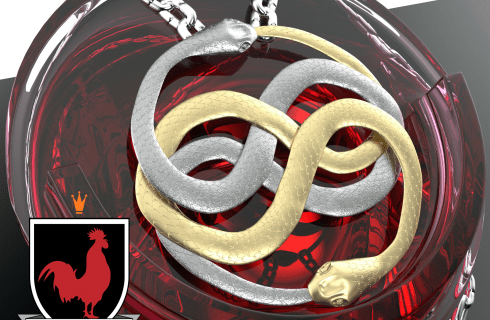 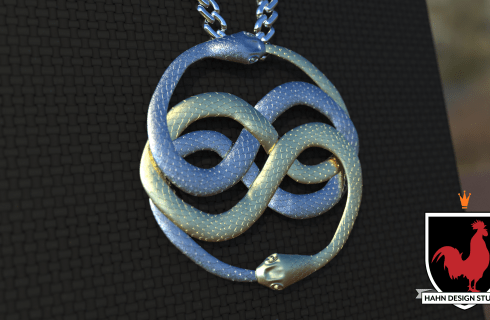 The Auryn necklace is a prop from the Neverending story film. 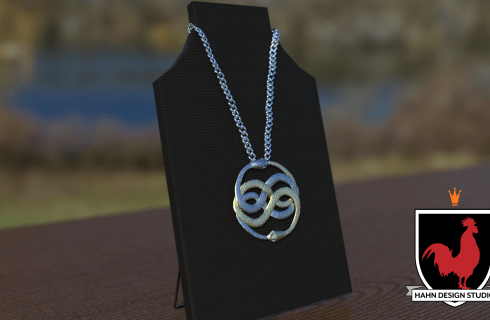 It was 3D modeled in Maya, and Zbrush and rendered in Keyshot. 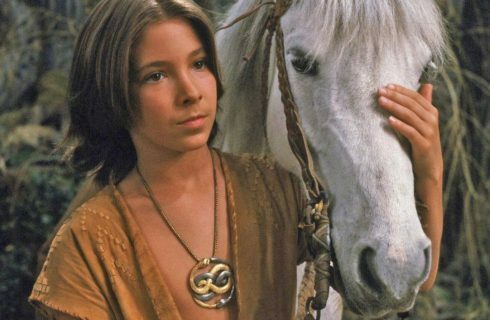 The Neverending Story is about a lonely young boy with a love of books becomes drawn into a timeless world of fabulous creatures–a world that only he can save from certain destruction–as he discovers that he is the hero of The Neverending Story.